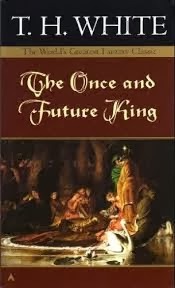 The Once and Future King encompasses five books written by author T.H. White about the legend of King Arthur. 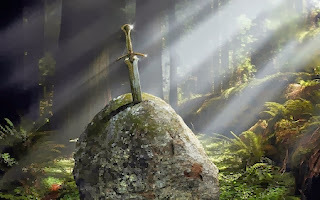 In The Sword and the Stone, we meet Wart, a young boy who is the ward of Sir Ector and who lives with his guardian and his guardian’s son, Kay, near the Forest Sauvage. By an unexpected set of circumstances, he encounters the wizard, Merlyn, who becomes his and Kay’s tutor, although we can see from the beginning that Merlyn favours Wart and there is obvious foreshadowing that we should expect something extraordinary from him later in the tale. This book concludes with Wart unknowingly pulling the sword from the stone, a clear indication that he is England’s next king. 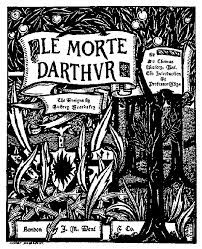 The book The Witch in the Wood (re-written as The Queen of Air and Darkness and apparently with little resemblance to the original) follows, chronicling the establishment of Arthur’s court under the political idea of right instead of might, and, of course, the love affair between Lancelot and Guinever receives the most attention. 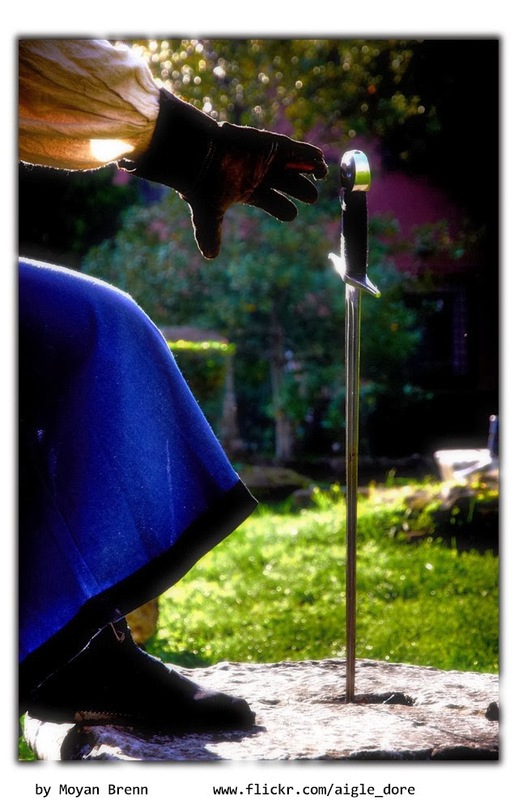 The third book, The Ill-Made Knight, gives primary focus to Lancelot, his quests to purge his thoughts of Guinever, his relationship to Elaine who bears him a son, the development of a odd love-triangle, the quest for the Holy Grail, and Lancelot’s fight to defend Guinever’s honour. A Candle in the Wind waxes philosophically about the metamorphosis of England into its present condition and the ideologies of war. 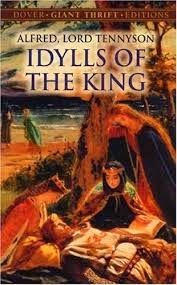 The height of tension appears in this book as Lancelot and Guinever’s relationship is revealed by a dastardly plot of Arthur’s Orkney clan, a war begins and the throne is seized by a usurper. 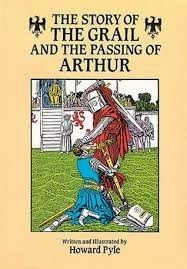 The death of Arthur and his son, Mordred are foreshadowed. 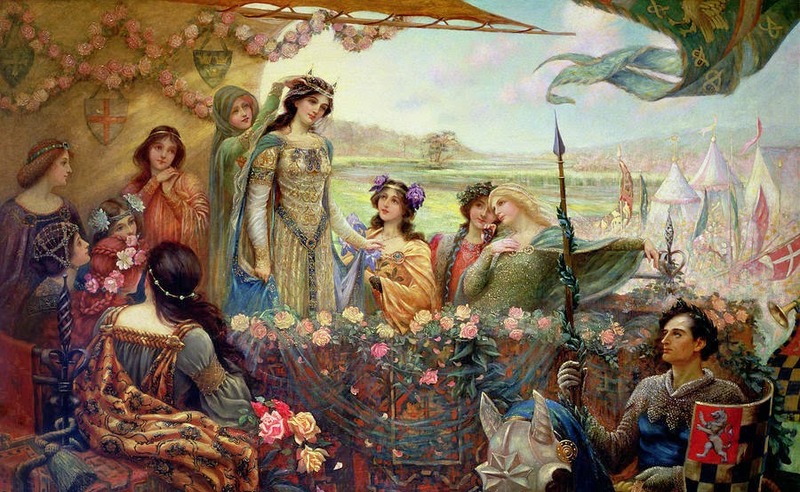 The Book of Merlyn, published posthumously, is added at the end and sets an aged Arthur amongst Merlyn and his animal friends from Book I, as they discuss the evils of war, why men want it, and how can it be avoided. I’m really stumped as to where to start with reviewing this book. My idea of the Knights of the Round Table was woven with nobility, courage, daring, self-sacrifice, self-denial and chivalric actions. 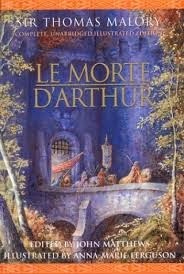 While the Arthur of this tale professes to have started the Round Table with the idea that might does not equal right, White makes Arthur a rather weak character. 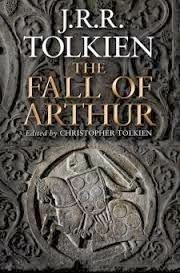 In his youth, he is quite simple; Merlyn plants the social and political ideas into his head and as a reader, I never got the feeling that Arthur intrinsically believed in them himself. 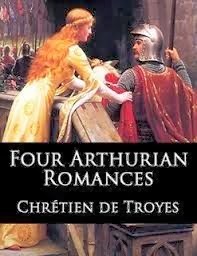 He knowingly allows Lancelot and Guinever to have an illicit relationship and is often paralyzed in moments when it is necessary for a king to show his strength and decisiveness. He is a simple, loving old soul who calls everyone “my dear” but it is a hard task to imagine him as the legendary King Arthur. Lancelot for a good part of the book is a brooding morass of insecurity and dark thoughts. However after Lancelot’s quest for the Grail and his encounter with God, he at least develops into a man with a sense of what is important in life and an internal code of conduct that he believes is worth following. 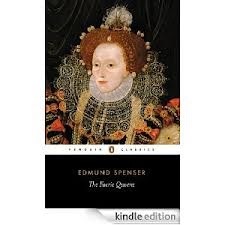 Guinever is a moderately believable character, professing her loyalty and love to both men, but White puts her through a period of womanly jealously that is almost embarrassing to read and certainly not worthy of her. 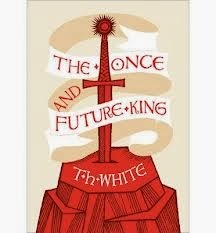 With Arthur’s half-relatives from Orkney, the devious and twisted brothers who become not only knights of the Round Table but are the poison that festers inside Arthur’s kingdom, White does a satisfying job with crafting their personalities. At times they can be quite appalling …… perfect villains to fit the story. Also, King Pellinore and his Questing Beast should receive an appreciative nod, adding delightful humour to the first book. The above information perhaps explains White confusing re-crafting of the legend, and the plethora of social and political philosophical concepts that twist the characters into a means of furthering the development of these ideas. Instead of White employing creativity to show the reader various themes in the novel, he simply tells us, which leaves a very weak effect. As one of my reading buddies stated, instead of cleverly weaving his opinions into the story, White attempts to weave the story into his opinions. The result is sloppy and, in effect, he actually strips these noble characters of the dignity they had been given by previous writers. 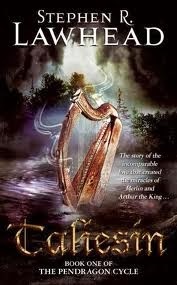 The Sword in the Stone, by itself is an appealing read, a nice story about the young Arthur and his upbringing. By the second book, the story takes a turn for the worst. I only have two words: very disappointing.